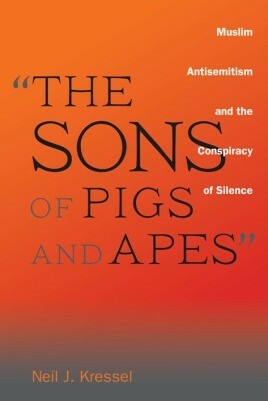 "The Sons of Pigs and Apes"
From the 1950s through the 1990s, antisemitism everywhere seemed to be on the wane. Unfortunately, due to sales rights restrictions, we cannot offer "The Sons of Pigs and Apes" for sale in your country. From the 1950s through the 1990s, antisemitism everywhere seemed to be on the wane. But as Neil Kressel documents in this startling book, the Muslim world has resurrected in recent decades almost every diatribe that more than two millennia of European hostility produced against the Jews, and it has introduced many homegrown and novel modes of attack. Though it is impossible to determine precisely how many of the world's 1.2 billion Muslims hold anti-Jewish beliefs, Kressel finds that much bigotry comes from the highest levels of religious and political leadership. Compounding the problem, as Kressel demonstrates, many in the West refuse to recognize this issue. The growing epidemic of hate has been largely ignored, misunderstood, or downplayed, Kressel reveals, because of apathy, ignorance, confusion, bigotry, ideology, purported pragmatism, and misguided multiculturalism. Those who value human rights ignore antisemitism at their own risk, he cautions, noting that no antisemitic regime or movement has ever been otherwise reasonable or progressive. Kressel argues convincingly that Muslim antisemitism provides an acid test of the seriousness of Western liberalism. If the West fails to stem this growing tide, as now seems likely, future affairs will not go well for the true proponents of democracy. Kressel moves beyond sounding the alarm to explore the diverse religious, political, social, and psychological forces that have created and nurtured the new hostility to Jews in the Muslim world; he concludes with a bold and clear plan for what must be done to confront this hostility.